This page is done with outlines of the shape. So this is not a line art. What works great with such coloring page is a gradient fill. Think teal flowing into blue, blue flowing into purple, and purple into pink. These colors are calming and vibrant, and are adjacent to each other on the coloring wheel. So they create a beautiful gradient. 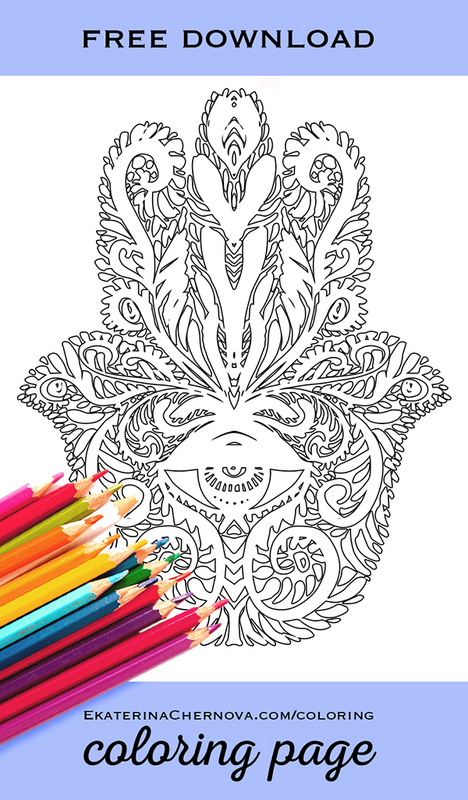 Click the button below to download hamsa coloring page. 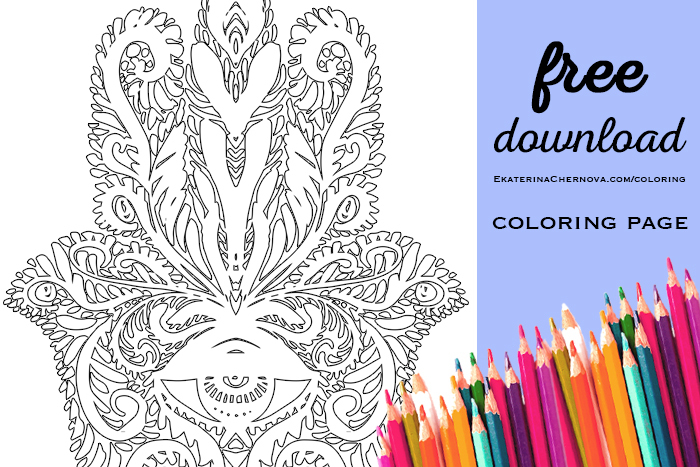 Please Pin or share the link to this post on Facebook, so other colorists can find this blog and get free coloring pages too 🙂 Thank you!